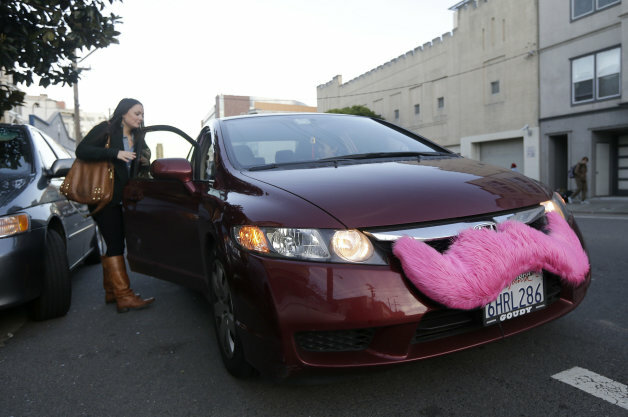 UBER, LYFT CAUSING TRAFFIC JAMS? In just a few years, on-demand ride services like Uber and Lyft have gone from practically nonexistent to a major presence in many cities around the world. While this change has caused consternation among governments and traditional taxi drivers, there’s no doubt that the apps have had a huge effect on how many people get around. Now, researchers are trying to investigate what effect they might play on traffic congestion, and so far the results are bit cloudy. A study from the University of California Transportation Center cited by Mobility Lab found that it might be too soon to make a definite decision, but it offered some tantalizing clues. The report examined surveys from an admittedly small number of 380 users of on-demand taxi services in San Francisco. On one hand, the traffic situation looked fairly positive. In the study, 92 percent of respondents said that they would have made a trip, whether or not the services existed. That means only eight percent of the journeys actually put more people on the road. As there are more vehicles on the road, the possibility of road accidents increase. If an accident did happen, there are some things you should do. After an accident you would need the legal assistance to file a claim. However, 43 percent said that if the services didn’t exist, they would have used some form of public transit, walked or ridden a bike. While the survey didn’t seek to derive any definitive data from this figure, that could indicate that ride sharing actually pulled people away from mass transport to place more vehicles on the streets, possibly boosting congestion. Compared to traditional taxi users in San Francisco, the study did find some advantages to ride-sharing services. The average trip using the apps carried 1.8 people versus 1.1 with a cab, and users had lower wait times. The roads might also be a little safer because 21 percent of respondents used the tech to avoid drinking and driving. Unfortunately, it’s difficult to extrapolate broadly from this study. Many cities don’t offer San Francisco’s public transit options, and that could drastically change the results. It’s going to take more research to figure it out, for sure.